Cyclosa turbinata (Trashline Orbweaver) ♀. Size: approx. 4-5 mm. Photo: 08/22/11, 9 am. 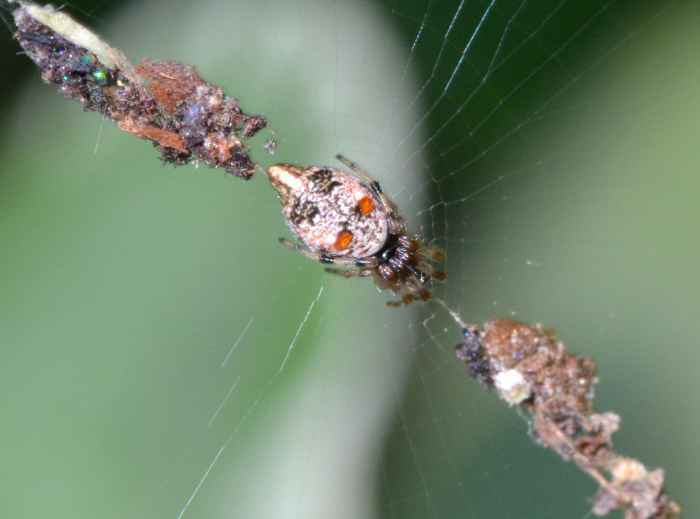 The Trashline Orbweaver (Cyclosa turbinata) decorates its web with dead bodies of insects and other debris. This decoration forms a vertical line and the spider blends into it. 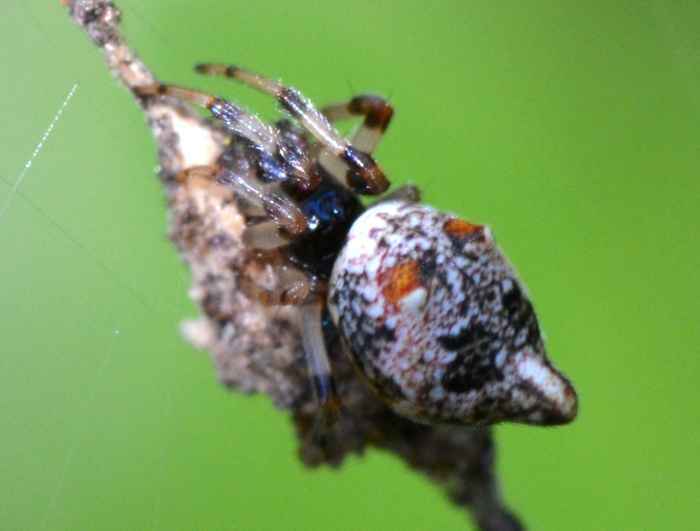 Females of C. turbinata differ from the similar C. conica "by being smaller in size and having a pair of anterior dorsal humps." Notice that I rotated this photo by 45 degrees.